I'm a hawksbill turtle named "Nani". ​or email us directly (with attachments) to HIhawksbills@gmail.com. Our older address still works too: MauiHawksbills@gmail.com. 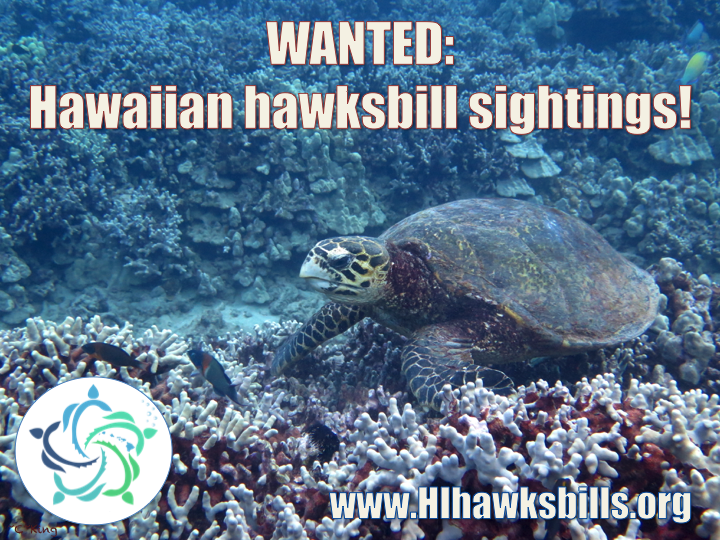 ​Click here for the most recent Hawaiian Hawksbill Happenings edition.